The 16th century Renaissance saw a rebirth of art and learning throughout Europe. Alongside that cultural rebirth there was also a spiritual awakening called the Protestant Reformation. It began when Martin Luther posted his 95 Theses about the corruption of the Catholic clergy on the door of the church in Wittenberg, in what is now Germany. That single act sparked a fire of revolution. The pope was considered infallible and untainted. But after reading the Holy Scriptures, the French noblemen began to question the validity of the pope. They discover that he was just a man like them and more corrupt in his ways than they were. The Huguenot religious practices offered them a way to rid themselves of the heavy financial burden placed on them by the papacy. 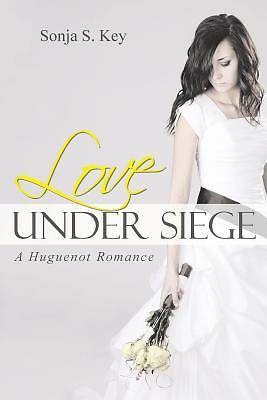 Love Under Siege is about Violette de la Marne, a young orphaned girl and devout Catholic, whose parents died when she was four. After her Grand-PEre's death-bed confession, she learns her parents are not dead but alive and possibly imprisoned in Paris. Feeling alone and betrayed by her Grand-PEre, Violette rejects an arranged marriage to a man fifteen years her senior. She is drawn to the Huguenots who promise an intimacy with God and assurance of salvation that reminds her of the love her parents shared. Violette longs for such a marriage, one built on love, trust, and a strong faith in God. With the help of God and the handsome rogue, Thomas Montmorency, her search throws her into the immoral and promiscuous court of Henry II and Catherine de Medici. Learn about the trials she faces as she searches for her parents, her true love, and this new faith that would bring her closer to God, persecution, and certain death if she is caught among the ranks of the Huguenots.